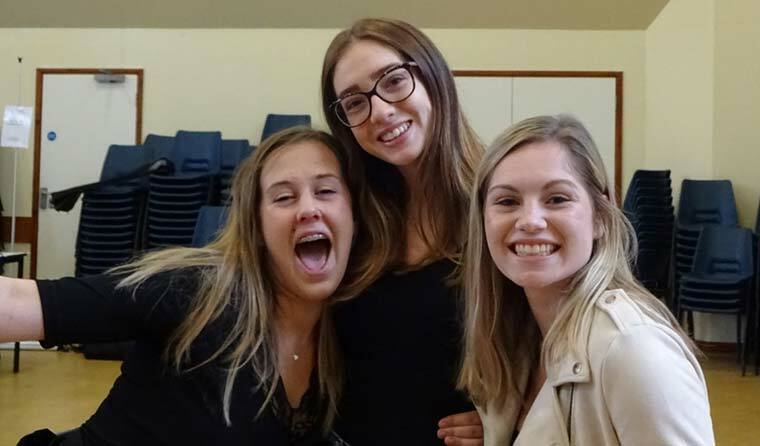 As A level results are announced today, (17 August), there is great cause to celebrate, especially in Ferndown where it was announced that the upper school has achieved its best-ever set of A level results. Ferndown Upper School is celebrating its best-ever set of A level results and a delighted headteacher Philip Jones said that many FUS students have gained their expected places at Russell group and other universities, with the good news being that every student in Year 13 gained a place at university or is in full time employment. “In fact 100% of our students gained an A level,” added Philip Jones. “These results mean that Ferndown’s government Value Added score is a superb +0.28, the best result in Dorset. This means that every 3rd student gained a higher grade than predicted by the government. Some of the top performers were Michaela Sibsey with A* – Eng Lit, A* – Maths and A* – Psychology. Michaela will be going to Bath to study psychology. She said, “Thanks to all of my teachers, I’ve loved every minute at FUS”. Katy Dunn achieved A – History, A – Ethics and A – Eng Lit. She said, “The teachers are always in your corner, I couldn’t have done it without their support.” Jake Ford will be studying aerospace engineering in Southampton after gaining A – Maths, A – Further Maths & A – Physics and Mara Tomei who achieved A – Biology, A – Chemistry & A – German is going to The University of Groningen (Netherlands) to study medicine. She said, “I would just like to thank all of my teachers, they have made this possible”. In neighbouring Wimborne, Queen Elizabeth’s School Sixth Form students and staff were thrilled to have achieved excellent results saying it was a record year with 53% of students gaining the top grades and an overall pass rate of 99%. Almost a third of the results obtained by students were at A*-A level. There were some outstanding areas of achievement including mathematics, geography, and all of the vocational subjects. The mathematics results were exceptional with 44% of students obtaining an A* or A grade. In the school’s wide range of vocational qualifications, the number of students achieving a Distinction or Distinction* (equivalent to a grade A/A* at A level) was 70%. In nearby Borough of Poole, Poole Grammar reported very strong results, with 59.39% of grades at A*/A/B grades, with a pass rate of 97.82%. This represents an increase in the proportion of higher grades when compared with 2016, and in a year when half of entries were in the new reformed A level courses which are designed to be harder than the syllabus they replaced. The proportion getting in to their first or second choice university offer remains at the level of recent years. Some subjects saw a particularly strong performance, with more than 65% A*/A.B grades. Students holding offers from Oxford and Cambridge met the very challenging grad requirements for their course with many others achieving their university offers. Top performers are Ben Barlow 2A*, 1A, Harry Cooper 4 A*, 1A, Dash Howarth 3A*, 1B, Reid Kelly 2A*, 1A, Lewis Simmonds 2A*, 1A, Ross Tooley 4A* and Alex Wright 3A*.